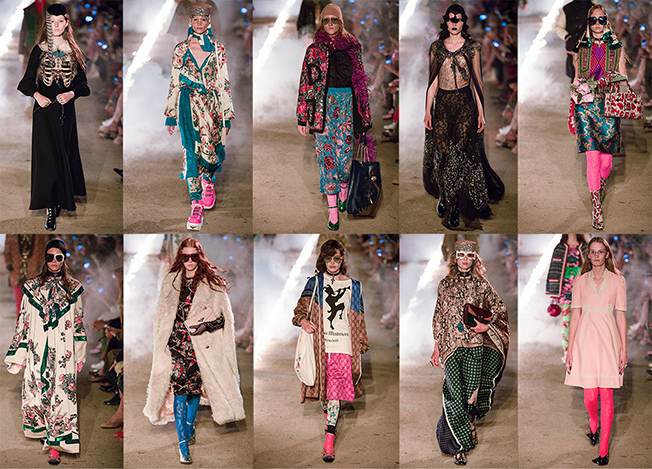 The Gucci Cruise S/S2019 fashion show helded on the Promenade Des Alycamps in Arles, a gothic place with a rock-and-roll soul at the same time. 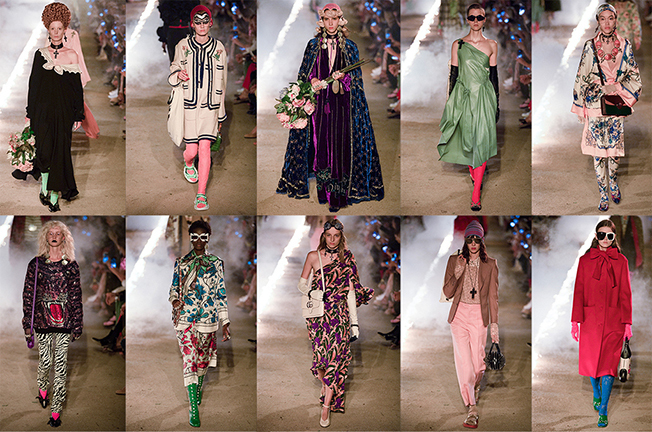 The ancient cemetery was the setting for looks inspired by widows from another century, groupies and unconventional beauty from the end of the roman Empire. 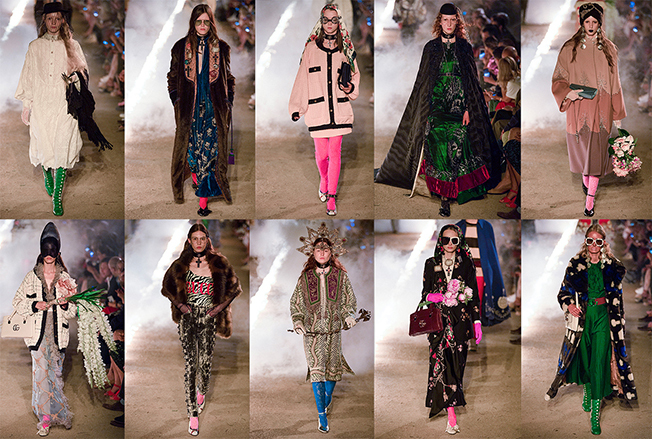 "There is a different kind of fashion and beauty, that's complex, it's an aesthetic anarchy where everyone belongs" said Alessandro Michele about this collection and about his work in general, of course. 114 outfits, each one is an extraordinary characters, lot of them inspired by vintage designs of Frank Olive the american designer of hats that worked for fashion houses, celebrities and theater. 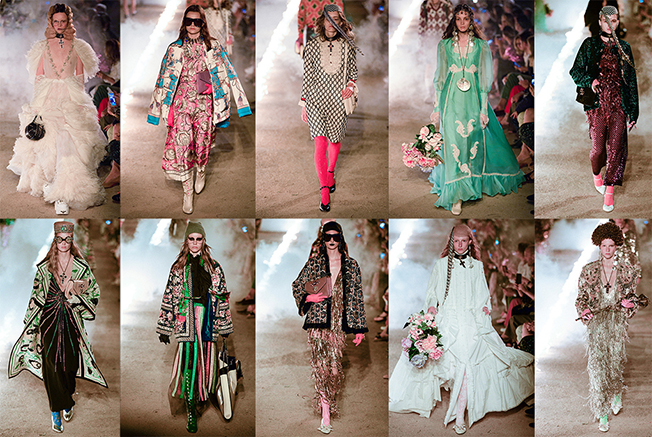 The collection was also defined by ornate decoration influenced by religious vestments, with rich materials and fabrics. Flames and fire divid the runway which features candles burning on iron candelabras. 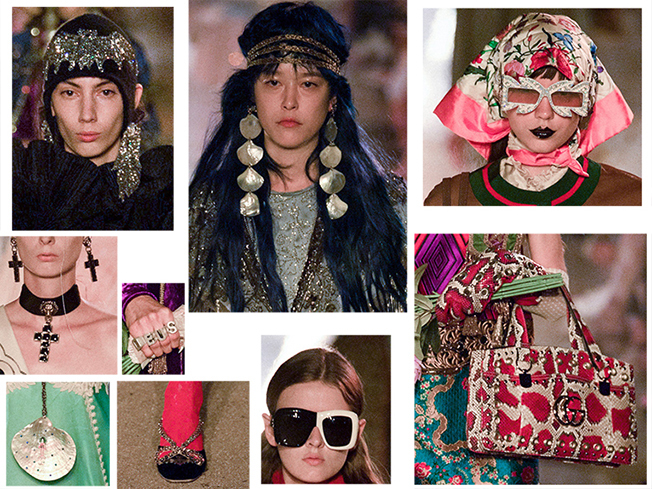 The ancient site, where Roman citizen were buried, has been the perfect setting for this new Gucci collection.